King Communications & Security Ltd, design and install IP Networked Security, Building Infrastructure, Fire & Life Safety and Healthcare systems. 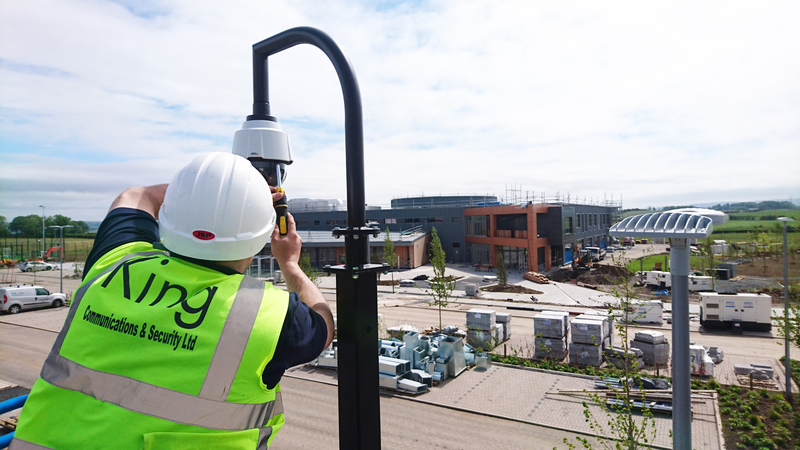 Operating for over 25 years and having installed Scotland’s first law enforcement security camera in 1991, we thrive on using imagination to provide innovative, future-proof and scalable solutions to a wide range of household name clients. We are certified, audited and accredited across a wide range of trade associations and partners, allowing us to provide installations that meet the highest British and European standards. Associations include: Constructionline, SSAIB, BAFE and Safe Contractor Scheme. Subscribe to our newsletter for the latest innovations. IP Networked Security, Building Services, Fire & Life Safety, Healthcare Services.